This comic old man is a king from a foreign land. He could also be an inept advisor or part of a chorus. He sees the world with a very narrow perspective and struggles to solve problems effectively. 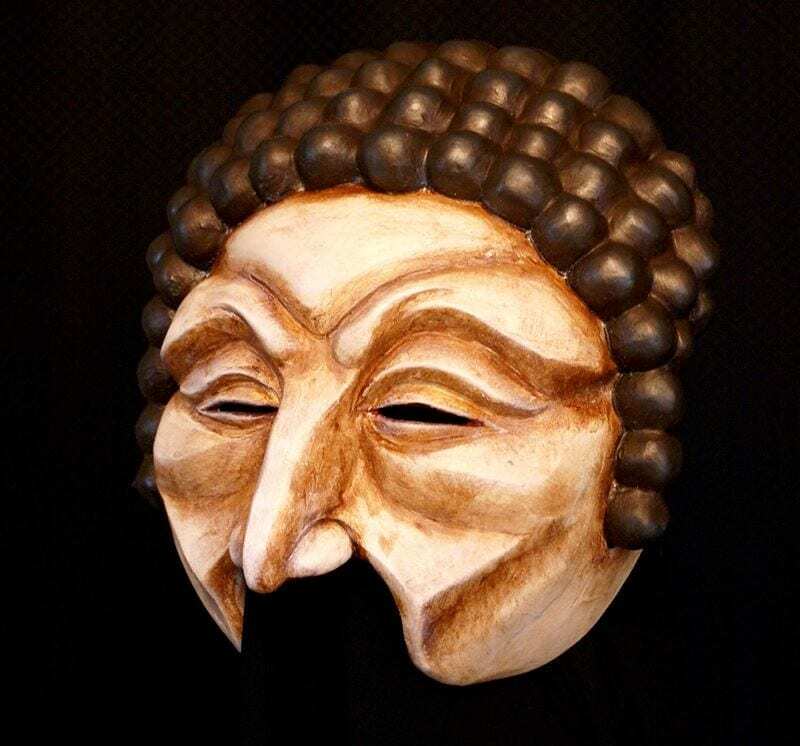 This mask has a direct energy, is quick to act and slow to realize the consequences of his actions.